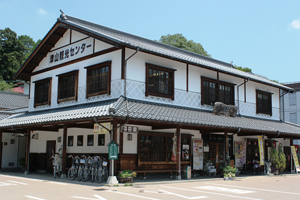 You can find many tourist pamphlets about the northern part of Okayama Prefecture here. Please feel free to ask about the sights, accommodation, and food, etc. in Tsuyama City. There are parking lots for both cars and motor coaches. 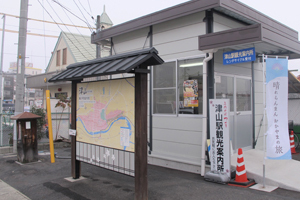 Located next to JR Tsuyama Station, in addition to the sights of Tsuyama City it also provides tourist pamphlets and information about the sights, accommodation, and food in the northern part of Okayama Prefecture. Please don’t hesitate to visit. It also has cycles for rent.